Say you're doing away with the whole dinner and flowers thing, and having fun at the club or jazzing it up with the girls (or boys) this Valentine's. Who needs another neutral, barely-there makeup look? You want all eyes on you baby! 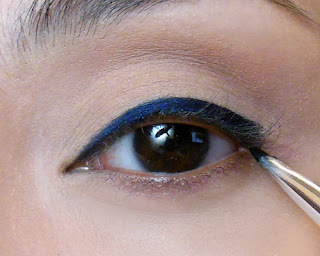 This is a very fun way to wear a classic red lip and liner retro "Bombshell" look, and while I picked blue because I have brown eyes, you can EASILY adapt this to any other color. This is good for any skin tone and most eye shapes, including mature skins and hooded lids. 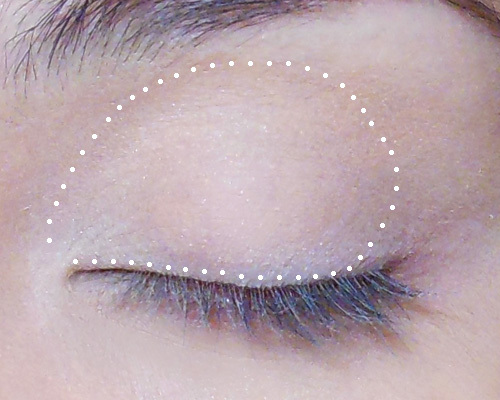 If you have mono-lids, the liner might not show up quite as well. Step 1: Apply a matte beige shadow all over most of the lids, concentrating on the inner 1/3, all the way up past the socket line. Step 2: Next, using a soft matte brown, run along the socket line, concentrating most of the color on the outer corners of the eye. Take care not to go too low or you'll make your eye look droopy. 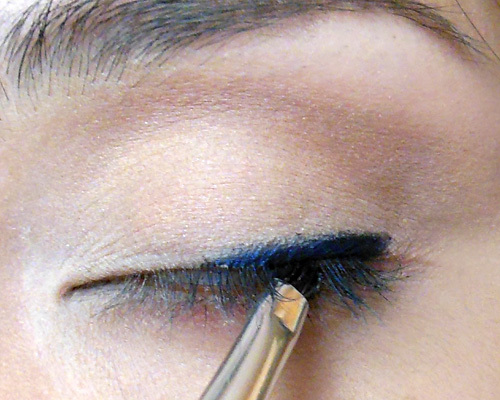 Tip: Imagine a line going from the corner of your eye to the end of your brow. 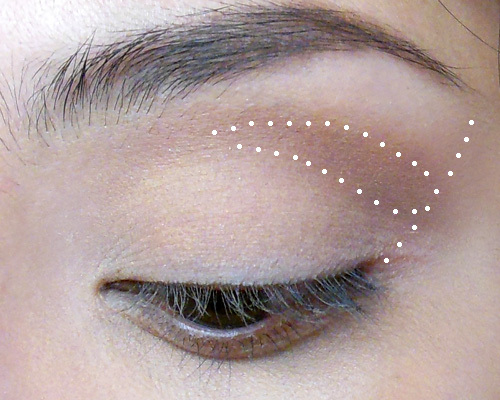 Go no lower than that line when you are doing your contouring. Step 3: Begin to place the liner. I always go from the outside in, drawing a diagonal line from the outer corner to the center of the eye (outside-in). This is the base shape that you will build on. Step 4: Slowly, you want to thick up the liner by drawing another line on top of the first, this time diagonally from outer corner to the inner corner. 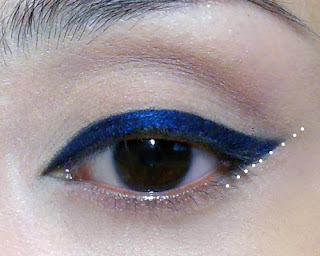 This is a look featuring very THICK liner, and you need that in order for the pearly shadow to show up later. 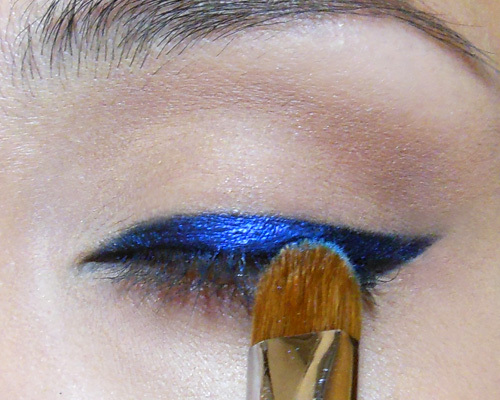 Step 5: After you get to the thickness you want, add the outer flick. I ended the liner quite low at the outer corners so I'd get a slightly doe-like effect. 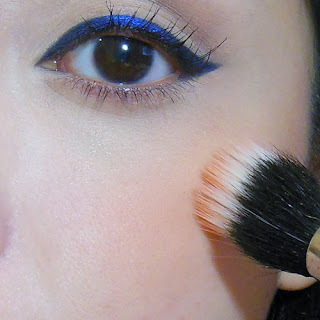 Then following the angle of my lower lash line, I placed a light stroke of liner outwards. Step 6: Smooth out and thicken the top of the flick so it connects with the rest of the liner. If you need to clean up, you can always cheat by using a clean concealer brush to apply concealer along the bottom edge of the liner. This creates that super-sharp effect. Step 7: Using a firm shadow brush, apply a pearlescent bright shadow right to the center of the liner. Do not apply this to the inner and outer corners. 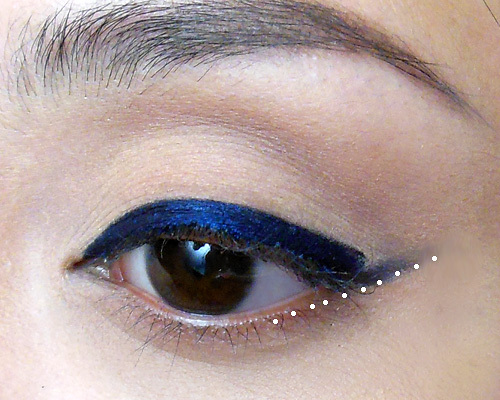 You want the illusion of a dramatic duochrome eye liner. Now finish with mascara and your eye is done. Step 8: I went ahead and applied a bright vermillion-orange blush high up on the cheeks, and then a coral-red matte lipstick. There's so much going on already that I did not want to add gloss on top of the lipstick as well. Gorgeous and the two-tone blue is stunning! Gravel Nails: Emboss Powder Nail Look!